This quote speaks to me so loudly. In the last four weeks this is exactly how I feel. Those out there who fire rockets and want us destroyed just make me more determined! This is my home, it's the only place we have in the world. It's my family's and my friends' homes and we are here to stay. While thinking and pondering about this I realized I made a lot of house theme projects during the years probably because this subject is important to me. I wanted to share these projects with you because I know this subject speaks to you too. This is a layout I created with a photo of my mom and aunt when they were little girls. I created a background with bright colors as a childlike scene with flowers and a house. Happy, fun and nostalgic page. 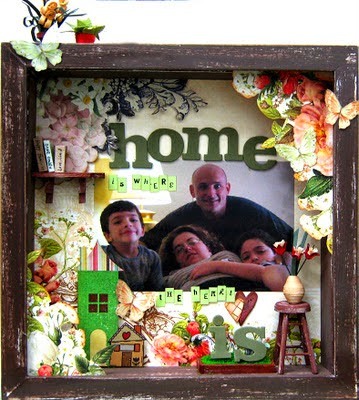 Another DT project, this time a frame cluster for family photos with a house in the center. This is a great piece for a wall in your home or as a gift. 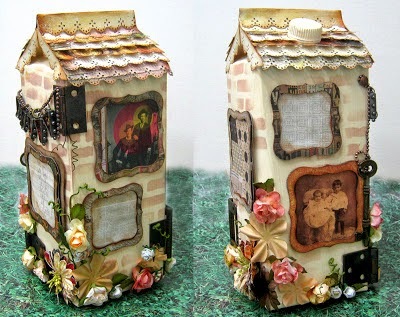 This project was created as a workshop called House of Memories. It was a really fun workshop that produced different houses because each participant made a different roof and added different photos. 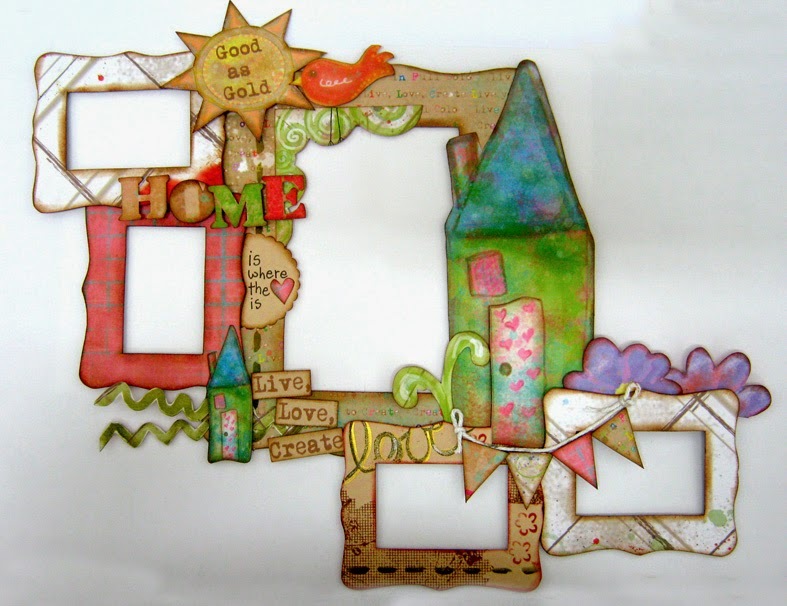 Finally a3D shadow frame with the famous quote: "Home is where the heart is". 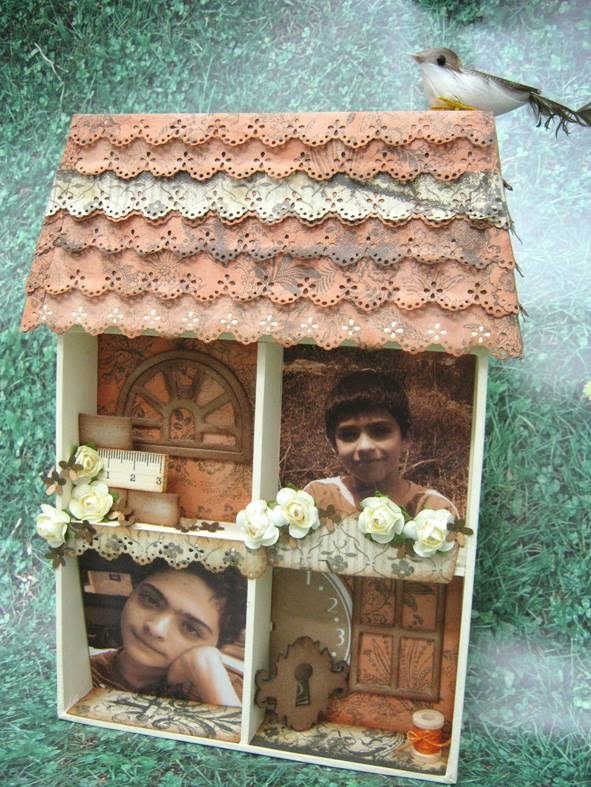 This project has layers of flowers as background and many 3D items and embellishments like a little high stool, shelf with books and a small garden bed with grass. There are even two quilled 3D pots with plants on the top of the frame. 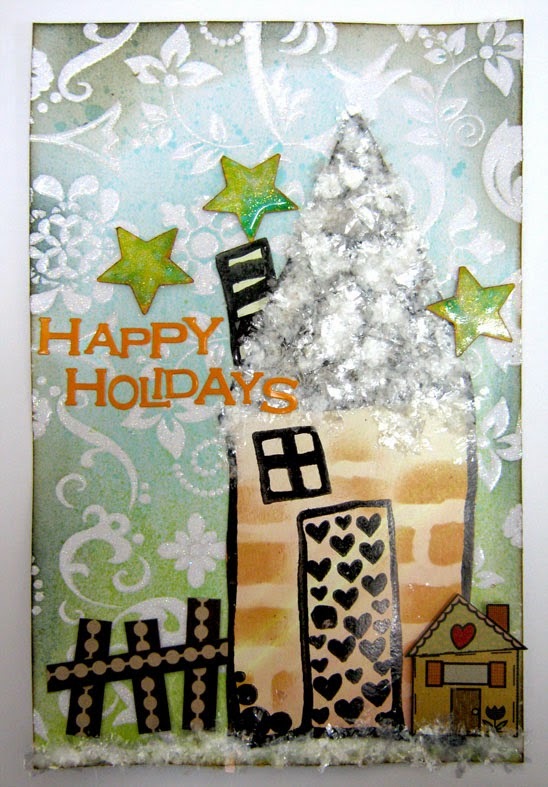 To close this homey collection, a snowy card with a house in the snow for the holidays. 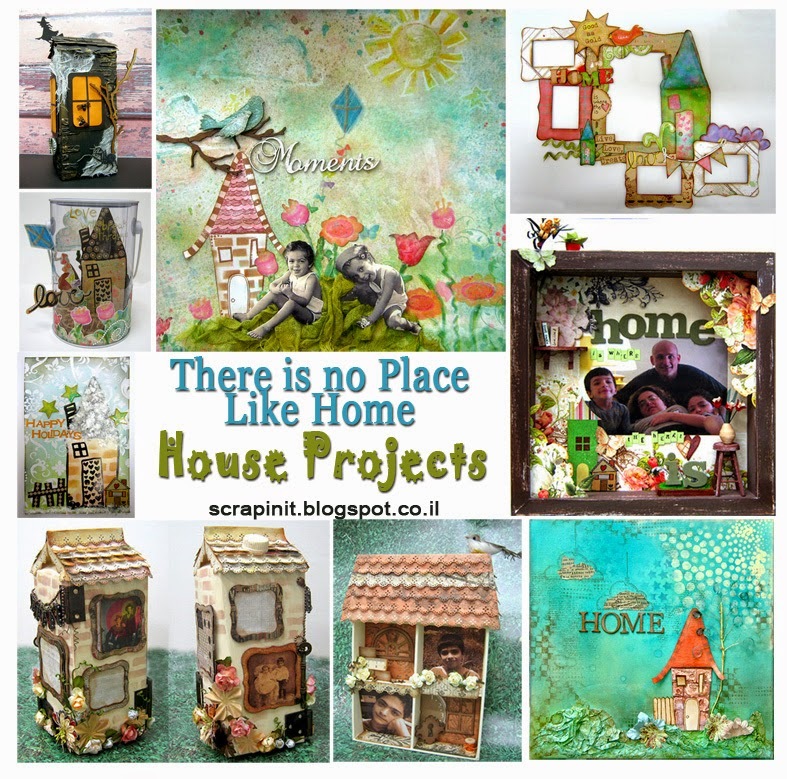 There are more house projects I created, many more then I realized when I started writing this post, but I think these are the top ones. Do you have any house projects? Try and create one, it'll warm your heart for sure! Such wonderful projects. You are so right about the importance of home. I am sorry that your home is under attack. I also feel sad for those who are homeless, because HOME is where we feel loved and secure. My favorite of your projects is the one with the quilled flower pots. So creative. I had a feeling you were Jewish. Sending prayers to you. It's nice to meet a fellow Jewish scrapper. Not many in the states! wow love all these projects, beautiful works of art!! !